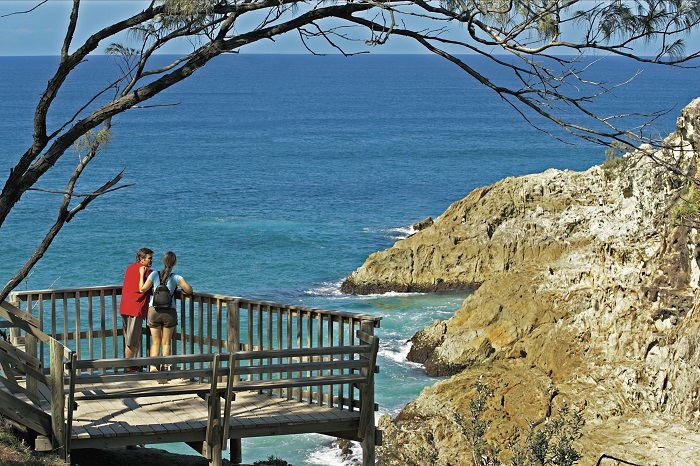 Just 45-minutes from Queensland lies North Stradbroke Island, the area’s most popular island. Sitting across the sparkling expanse of Moreton Bay, the island is the second largest sand island on the planet, and boasts a mixture of pristine beaches, rugged coastlines, and peaceful waters. What’s more, the wildlife here is second to none, so animal lovers will enjoy the fabulous selection of nature encounters. 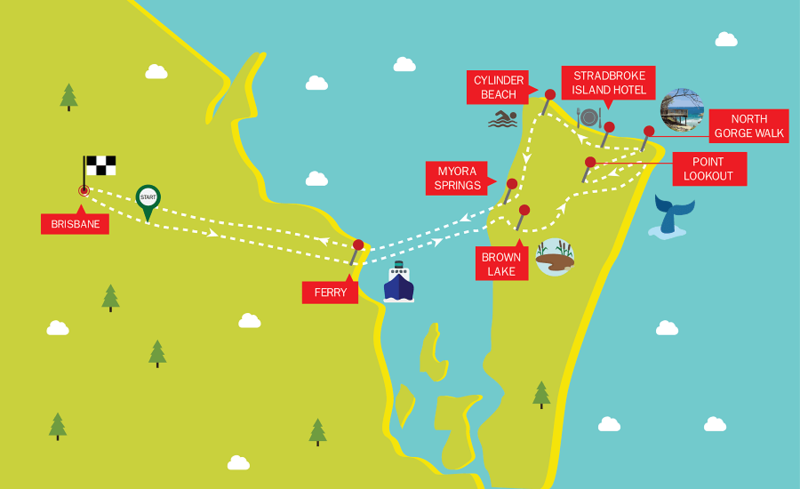 The tour leaves from Brisbane and we take you across Moreton Bay to the island itself. From there, we head to Brown Lake, where you can marvel at the pure white beaches and take a dip in the shallow waters that are imbued with Tea-Tree oil. You can then walk the Gorge, where you’ll be exposed to spectacular scenery along the coastline. Keep your eyes peeled for some of Australia’s best-loved critters, including the large colony of koalas and kangaroos lazing around in the sun. From the coast, you can also spot an abundance of marine life splashing about in the crystal clear waters. While on the walk, you can stop and marvel at the view from Visit Point Lookout. If you’re visiting in winter, you might even catch a glimpse of the resident Humpback Whales that come into the bay in the cooler months. Then it’s time to take in the island’s most popular hangouts, including Cylinder, Frenchman’s and Main Beaches, and the charming historical town of Dunwich and Amity. 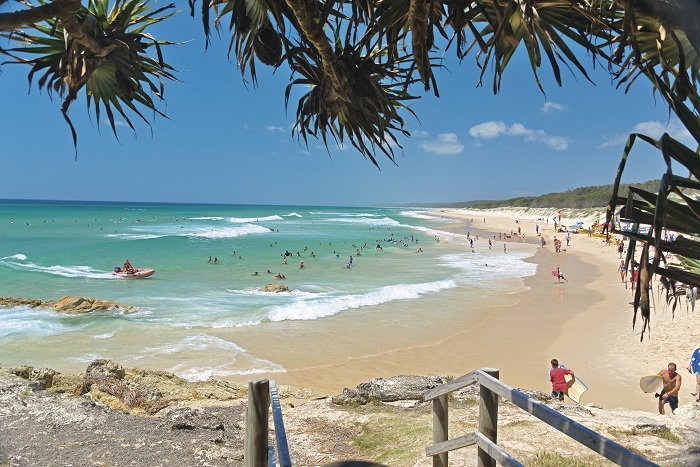 We’ll stop for a while at Cylinder Beach, where you can swim in the Pacific Ocean and relax on the pristine sands. Afterwards, we’ll take you to Myora Springs, where you can learn all about the battle between the Aboriginals and the military that took place here. 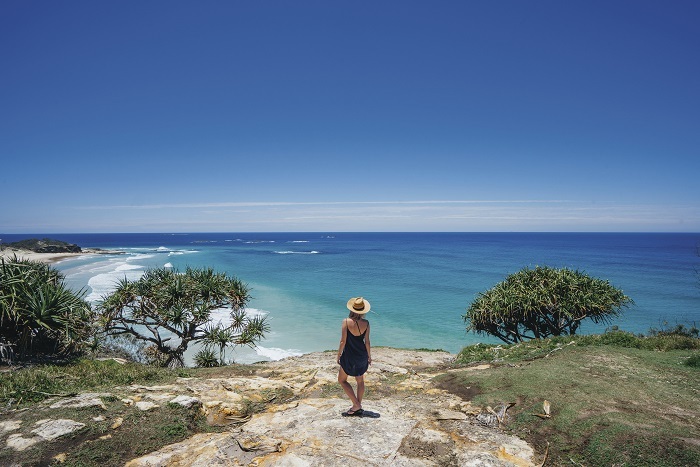 This adventure to North Stradbroke Island gives you the chance to soak up stunning scenery, get up close and personal with Australian wildlife, and learn about the rich history that imbues the land. Please meet the tour at 7:35am at Bus Stop 125, 161 Roma Street (outside the Brisbane Transit Centre and opposite the entrance to the Police Building).